The protest is to support families that are once again the victims of the senseless homeless policy being followed by Cork City Council. We campaigned strongly for the closure of the Homeless Persons Unit at Drinan Street and were happy to see it close it doors on 21st January. Firstly, there was a complete change of staff – up to now the service was administered by the Department of Social Protection (DSP), now it has moved to Council staff only. This change alone was bound to cause disruption, but there was also a rule change and nobody was notified about it. The rule change is that City Hall only pays for emergency accommodation that it sources, whereas the DSP did so on an ongoing basis. 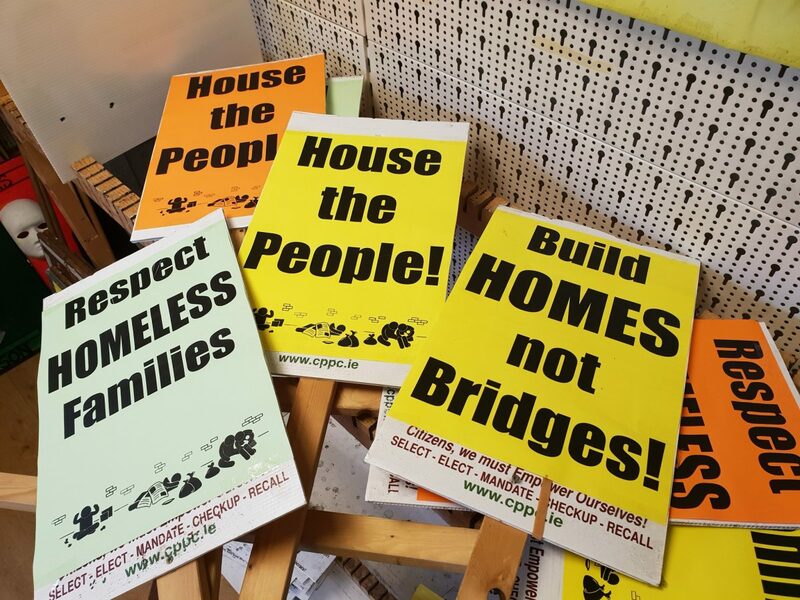 Throughout the past week homeless families and individuals have been presenting to City Hall, expecting continuity, but their nightmare only got worse. 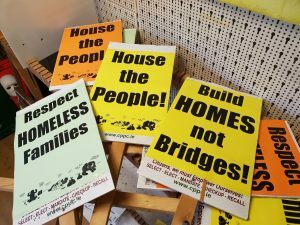 One young woman was abandoned to walk the streets for a night, and a number of families have been removed from apartment or other child-friendly accommodation and forced into B&Bs, without even cooking facilities. It was common practice at Drinan Street for a homeless person/family to find their own emergency accommodation and then to return with receipts and be financially supported.